Don't miss out on this great opportunity to own a great home and build equity! 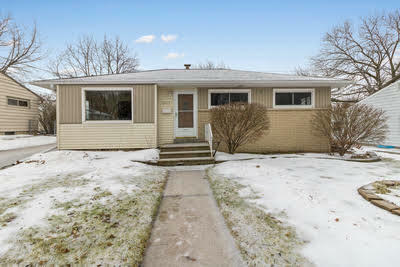 This 3 bedroom, 1.5 bath ranch is in a great location, close to everything you need. Living room and bedrooms with hardwood floors, big eat in kitchen open to the spacious living room, plus a three-season room overlooking the tree-lined back yard. Newer siding and windows, side drive to 1.5 car garage. Priced to sell, this home is ready for you to update and make it yours!